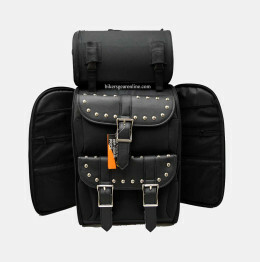 View Cart “MOTORCYCLE LARGE NYLON RACK SISSY T BAR BAG” has been added to your cart. 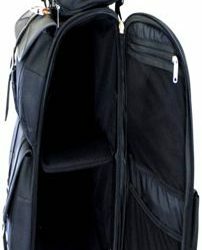 Large full size openings on each side allowing easy access to inside cargo even when the bag is still mounted on the motorcycle. 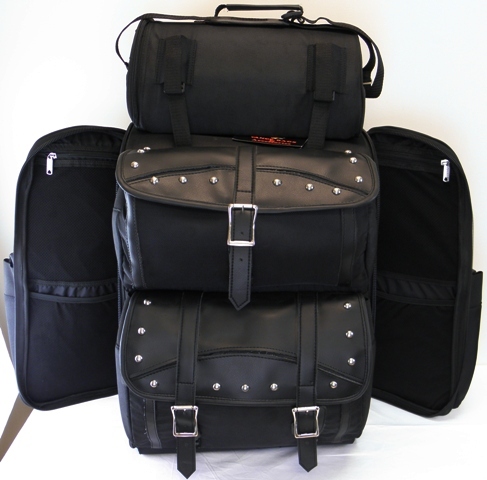 · Main side doors include 2 inside mesh pockets and one outside pocket. 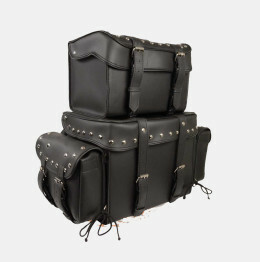 · Spacious interior with adjustable shelf. · Fully adjustable mounting rig easily attaches to any sissy bar. Once adjusted it never needs adjustment again! 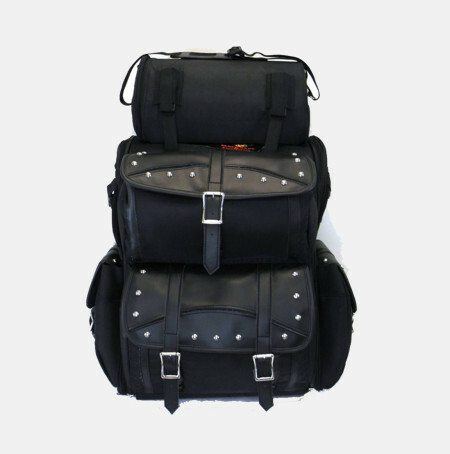 · Hard lined construction maintains the bags shape. 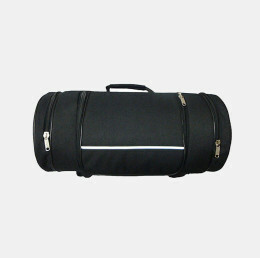 · Top roll bag for extra cargo capacity with shoulder strap and cargo straps that can mount the roll bag or strap down extra gear-; jacket, rain gear, sweatshirt etc. · Top carrying handle, detachable back pack straps and shoulder strap for easy toting. · Top pocket with mesh organizers. · Constructed of a heavy, durable denier nylon heavy thread that is UV protected, water-weather resistant and made to last! 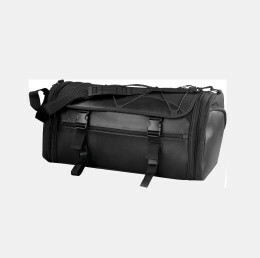 · Rain Cover with security tether included.